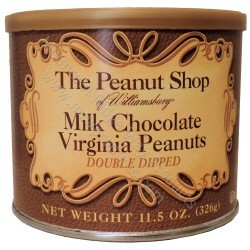 Handcooked Virginia Peanuts, double-dipped in creamy milk chocolate. Double delicious! A great gift for the chocolate lover in your life.